Trichoderma is a group of filamentous fungi typically found in soil, plants and wood. Species from this genus are known for being parasites of other fungi and for their ability to produce a wide range of metabolites. These fungi divide most rapidly and are thus cultivable between 25–30°C. 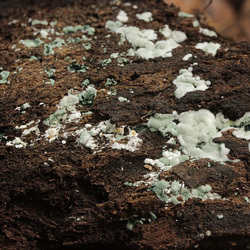 Trichoderma species are among the most common indoor fungi and are often isolated from mold-contaminated building materials. Indoors, they can be found on a variety of materials, particularly those with a high cellulose content such as paper, wood and fabrics. 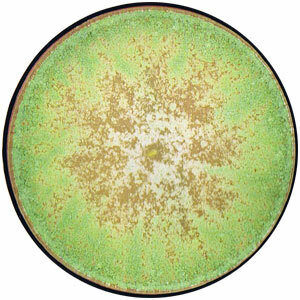 Colonies are typically white or cream in colour but become green due to sporulation. Spores can be disseminated through rain, insect, wind and water. Trichoderma molds are commonly used in biotechnology as antagonists to many plant pathogens and can induce plant growth, seed germination and systemic resistance. Trichoderma species may adversely affect human health. They are involved in invasive infections of immunocompromised individuals and allergic reactions. The first discovery of the Trichoderma genus dates back to 1794 by German mycologist Christiaan H. Persoon. During his research, he described four species of the Trichoderma; however, only one of them actually belonged to the Trichoderma genus: Trichoderma viride. In the years that followed, many other scientists continued researching the Trichoderma genus, including the Tulasue brothers (1865), Gilman and Abbott (1927), Bisby (1939) and lastly Rifai (1969). Rifai wrote a thesis paper, published in 1969, describing nine complex species. The development of molecular phylogenetic analysis led to more discoveries about the taxonomic classification of Trichoderma. Trichoderma harzianum: This is the most well-known species and is widely used as biocontrol agent and for enzyme production. Trichoderma viride: For a long time, this species was thought to be the only species in the Trichoderma genus. 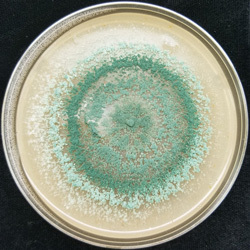 Known as the “Green Mold of Mushrooms”, T. viride is used for suppression of many plant diseases caused by fungal pathogens. Trichoderma longibrachiatum: This species of mold is often found in window filters, air conditioners, carpets, bathrooms and kitchens. 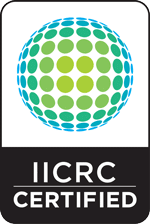 It is known as an opportunistic pathogen of humans and can cause negative health effects in immunocompromised individuals. Trichoderma reesei: This particular species produces cellulase, an enzyme that’s widely used in the food production, textile and paper industries. Stonewashed jeans are made with cellulase produced by T. reesei, which is what makes them soft. What is Trichoderma used for? The use of Trichoderma molds in biotechnology as a biocontrol agent and in agriculture to curb plant pathogens and boost crop production shows that this genus can be useful and beneficial to humans. One of its greatest advantages is that it kills other fungi (to eliminate any form of competition) and thus it is useful to the plants colonized by it. Because of its great benefits, some farmers choose to add it to their gardens before planting. Where does Trichoderma grow in the house? However, the damage that Trichoderma species can cause does not end there. Because these molds attack wood, they can create rot, which will compromise the structural integrity of wooden framing and other structural elements of your home. 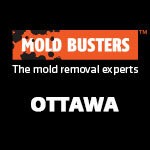 This can happen quickly, leading to major losses if proper mold removal is not performed. If the conidia of Trichoderma molds are inhaled, they can interact with the airway epithelium, causing symptoms similar to those of Stachybotrys (black mold). The symptoms that follow the inhalation include but are not limited to sneezing, asthmatic attacks, prolonged coughing and infections of the lungs (e.g. pneumonia). Care must be taken to prevent these molds from contaminating HVAC systems. When Trichoderma contaminates an air conditioner, for example, it is extremely likely to spread all over the house, thus posing an even greater health risk. Trichoderma species are a serious threat to HIV-infected individuals and other immunocompromised patients. Usually, these fungi are not diagnosed until later stages because of their low susceptibility to antifungal agents that are commonly used in their treatment. One species in this genus, Trichoderma longibrachiatum, is extremely harmful and toxic to humans. It produces toxic peptides called trilongins, which aren’t commonly found in protein amino acids. For this reason, exposure to T. longibrachiatum cannot be treated with antimicrobial agents and greatly weakens the body’s immune system. It is thus easy to see why maintaining a living environment that’s free of mold is so important to good health. How to remove Trichoderma molds? So how do you remove Trichoderma molds? Any mold discovered in your home should not be ignored or handled casually, especially when you don’t know if you’re dealing with a toxic species. The task of mold removal should be done with great care and precision to ensure effective, long-lasting protection against harmful mold spores. Often, this job is best left to professionals, especially when dealing with toxic species like Trichoderma longibrachiatum. Apart from getting rid of the mold problem and giving you peace of mind, mold removal experts can also provide great advice on how to prevent the growth of molds like Trichoderma in the future. 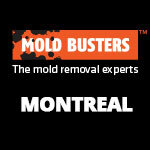 This does not mean that you cannot remove or clean mold from your home yourself. Small mold problems do not require professional help; however, you should always make sure to protect yourself and others with the proper safety and personal protective equipment. You should also take great care not to spread the mold to other areas of the house. How to prevent Trichoderma molds from growing back? 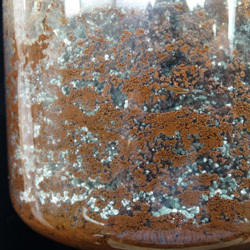 Preventing the growth of Trichoderma molds (or any mold, for that matter) is not easy. It requires regular monitoring of your property for signs of moisture—the most common cause of mold growth. 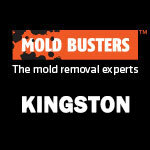 At Mold Busters, we always recommend investigating why the mold occurred in the first place. Was there a recent flood? Is there a leak somewhere nearby? Is the area properly ventilated? 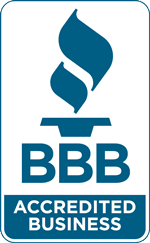 After that, we evaluate the extent of the mold damage and perform a scope-of-work assessment to give you an understanding of the remediation process as well as how much it will cost to remove the mold. Abbott SP. 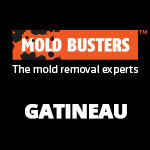 Mycotoxins and indoor molds. Indoor Environment Connections 2002;3(4):14-24. Harman GE, Howell CR, Viterbo A, Chet I, Lorito M. Trichoderma species—opportunistic, avirulent plant symbionts. Nature reviews microbiology 2004;2(1):43. Kosanovic D. Trichoderma species causing green mould disease of button mushroom [Agaricus bisporus (Lange) Imbach] and their sensitivity to fungicides and biofungicides. Doctoral dissertation. Faculty of Biology, University of Belgrade 2015. Larsen FO, Clementsen P, Hansen M, Maltbaek N, Gravesen S, Skov PS, Norn S. The indoor microfungus Trichoderma viride potentiates histamine release from human bronchoalveolar cells. Apmis 1996;104(7‐8):673-9. Mikkola R, Andersson MA, Kredics L, Grigoriev PA, Sundell N, Salkinoja‐Salonen MS. 20‐Residue and 11‐residue peptaibols from the fungus Trichoderma longibrachiatum are synergistic in forming Na+/K+‐permeable channels and adverse action towards mammalian cells. The FEBS journal 2012;279(22):4172-90. Schuster A, Schmoll M. Biology and biotechnology of Trichoderma. Applied microbiology and biotechnology 2010;87(3):787-99. Singh J. Toxic moulds and indoor air quality. Indoor and Built Environment 2005:14(3-4):229-34. Tang P, Mohan S, Sigler L, Witterick I, Summerbell R, Campbell I, Mazzulli T. Allergic fungal sinusitis associated with Trichoderma longibrachiatum. Journal of clinical microbiology 2003;41(11):5333-6.